Milwaukee's Business Mediation Lawyers - Wagner Law Group, S.C. Mediation is becoming a more popular way for individuals and businesses to settle differences. 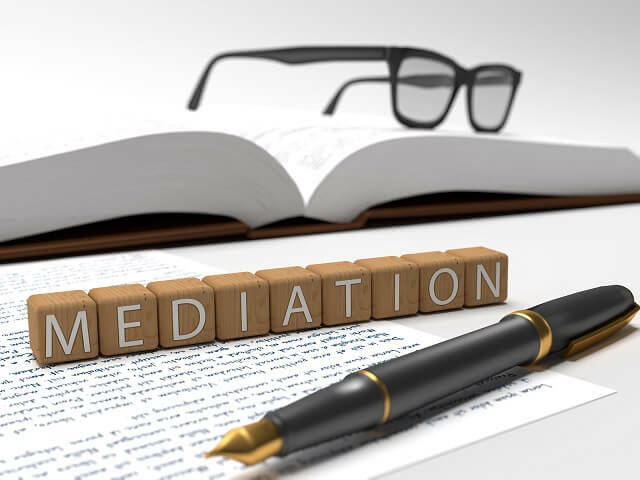 Prompted by the expense of litigation and the long wait to get on the docket, mediation offers a quicker, less expensive way to negotiate disputes. In fact, some jurisdictions actually require that the parties mediate before a case can move to trial. If you find yourself in a negotiation impasse, consider enlisting the help of a mediator to help you and your adversary move through the impasse and move on with your lives. A mediator is a neutral third party that helps facilitate discussions between the parties. They set down ground rules while encouraging both parties to participate. They try to help the parties see things from a different perspective. Mediators can suggest alternative and sometimes-unconventional solutions to the parties’ sticking points. They can also serve as a voice of reason if one or both parties are in need of a reality check on their positions. What the mediator does not do is make judgments, force parties to agree, or enforce any agreements. Mediators, like all individuals, have different styles and perspectives that they bring to the table. It’s helpful when choosing a mediator to pick someone with a style that will fit you and your adversary. Most mediations begin before the actual meeting. Once the parties agree on who will serve as the mediator, they will hire the mediator, who will likely ask for statements from all parties involved. This helps the mediator have at least some understanding of the issues and positions prior to the mediation. At the start of the mediation, the mediator will generally set down some ground rules as to how the parties are to behave and outline the basic flow of the day. Mediations are generally confidential and the mediator may ask all parties to sign a confidentiality agreement prior to proceeding. This helps the parties to communicate openly, without the threat of having what they say come back to them in court. Most mediations begin with all parties present in the room. The mediator will allot time for each party to state their position and tell their story. This can help set the stage for the remainder of the mediation, encouraging all individuals present to actually “hear” the other party. This may be a time when the mediator starts listing issues and asking the parties to agree to a mediation agenda. Once the parties have given their statements, some mediators like to continue on to discussions if it seems more organic to do so. Others may take this time to break into caucus – individual meetings with each party to determine bottom-line positions. The mediator will ask if certain information may be passed on to the other party/parties, in the hopes of ultimately reaching a mutually-agreed settlement. In an ideal situation, the parties walk out of the mediation session with a settlement agreement in hand. If not, the mediator may suggest further mediation sessions or alternatives to moving forward. If you are considering mediation for a negotiations impasse, contact the attorneys at Kerkman Wagner & Dunn today online or at (414) 278-7000. We can help you determine if mediation is right for your situation.